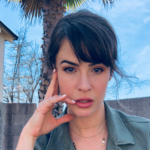 The Bold and the Beautiful spoilers find that Shauna and Quinn reminisce about their past and how their children belong together; Wyatt and Flo discuss the similarities between their paternal situations. At Bill’s office – Bill Spencer (Don Diamont) and Justin Barber (Aaron D. Spears) are talking about Katie Logan (Heather Tom) and Donna Logan (Jennifer Gareis). Justin wants to know about him and Katie, but Bill doesn’t want to talk, instead Bill asks him about Donna. Justin changes the discussion. He brings Bill papers concerning Wyatt’s mother, Quinn Fuller (Rena Sofer), and Bill wants to take care of them himself. Katie and Will Spencer (Zane Achor) walk in and start talking about Will and the fact that he gave himself the mission of being a match-maker. He didn’t expect to be caught so fast. Will’s making dreams for the future. He can see himself being a lawyer, instead of being at Justin’s place, working with his brothers. He also wishes that Bill and Katie would be again together. Justin leaves and Bill explains to Will that he doesn’t know what the future will bring for him and Katie. They don’t want him to be excited about something that will probably not happen. At Forrester Creation Main office – Quinn and Eric Forrester (John McCook) are speaking about Shauna (Denise Richards). She got in contact with her. She’s in town to see her daughter, Flo, and she will come to see her too. Shauna just walks in. They are both very excited to see each other again. Quinn presents Shauna to Eric. Quinn tells her she’s the best friend she ever had. They are talking about Wyatt Spencer (Darin Brooks)and Florence Fulton (Katrina Bowden). She’s such a beautiful young woman and a good girl. Wyatt’s also grounded, gorgeous, successful and perfect. Shauna can’t believe how Quinn’s life has changed. She brought an old photo album with pictures of them together. They are very excited to reminisce about the old days. Shauna’s still working at the same Casino boutique and she’s alone. Quinn explains what she has been up to since she left Las Vegas. She’s not a Fuller anymore. Wyatt too is not a Fuller anymore. He finally found his dad and now wears his name. Quinn asks Shauna if she brought Flo’s dad into the picture, but Shauna doesn’t say a word. Quinn tells her that she learned how to coexist with Wyatt’s father for his sake, even if his father’s a big jerk and a bully. He’s decent from time to time, but that’s because of his sons. He has two others sons. Quinn tells her that Bill Spencer is Wyatt father. Shauna’s stunned and she can’t believe her ears. 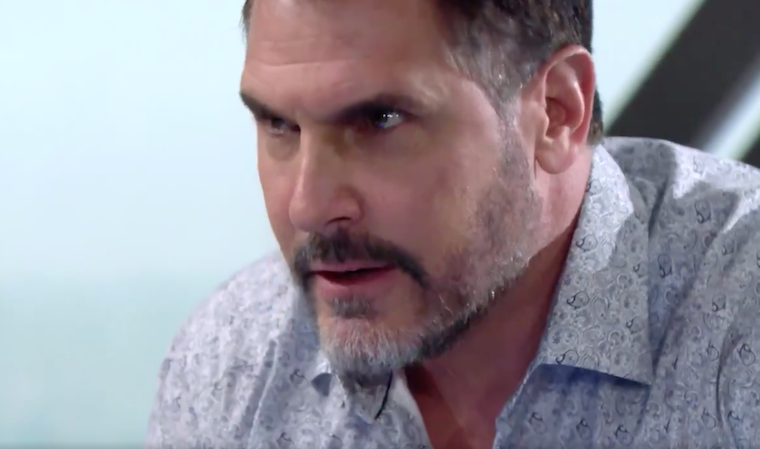 The Bold and the Beautiful Spoilers: Who Is Flo’s Biological Father? Vote In Our Poll Now! At Florence’s flat – Wyatt just walks in. Sally Spectra (Courtney Hope), his girl friend, left town for a few days and he has some spare time. He wants to know if she received the results from the DNA test, but she didn’t. She’s very excited to receive them. She might know who’s her father by today. She doesn’t know why her mother kept this secret for so long. There must be a reason. Wyatt explains to Flo that his father’s not a good man all the time. He has done some bad thing, bad things that he himself could never do. It comes easily to him, that’s what bothers Wyatt. Flo loves her mother. She can speak with her about everything, but not about her father. Every time she asks her something about her father she lets her down. Wyatt gives her advice and say not to pre-worry about all this because she’s gonna make her self crazy, just let things taking their course. For Flo it would be nice to meet him, see him and talk to him. Flo thanks Wyatt for backing her up. She wouldn’t be able to do this without his help.